The donation of wreaths from the Worcester Wreath Co. began as a personal tribute from the Worcester family to military veterans who gave their lives for this country. The family quietly made these wreath donations to Arlington National Cemetery for nearly 15 years before a photo set them on a path they hadn’t dreamed about. 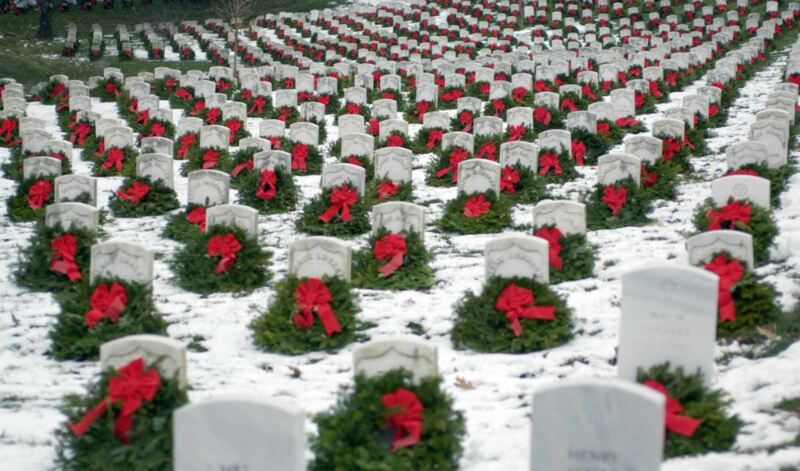 The photo — of the company’s wreaths at Arlington covered in snow — went viral in 2006. 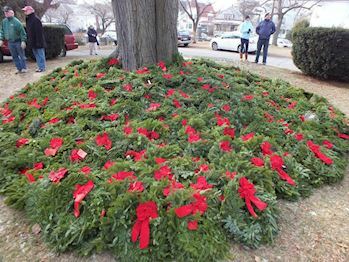 Shortly thereafter, the Worcester Wreath Co. began receiving unsolicited money from people who were touched by the wreaths and what they represented, and who wanted to participate by sponsoring wreaths themselves. This money was returned to donors because there was no mechanism in place for the family to accept the donations at that time. In 2006, the family continued to give and at the requests made to them through thousands of emails, sent wreaths to well over 100 locations — seven ceremonial wreaths — one for each branch of the military plus POW/MIA. The Worcester family still donates those ceremonial wreaths to any location that wants to hold a Wreaths Across America ceremony. 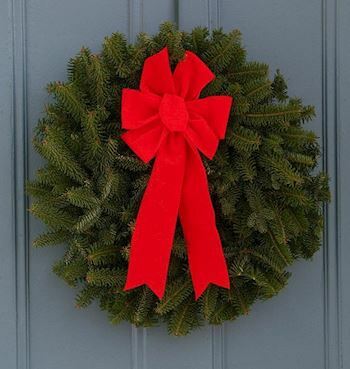 There is no requirement by the Worcester’s or the WAA organization to sponsor wreaths to participate. 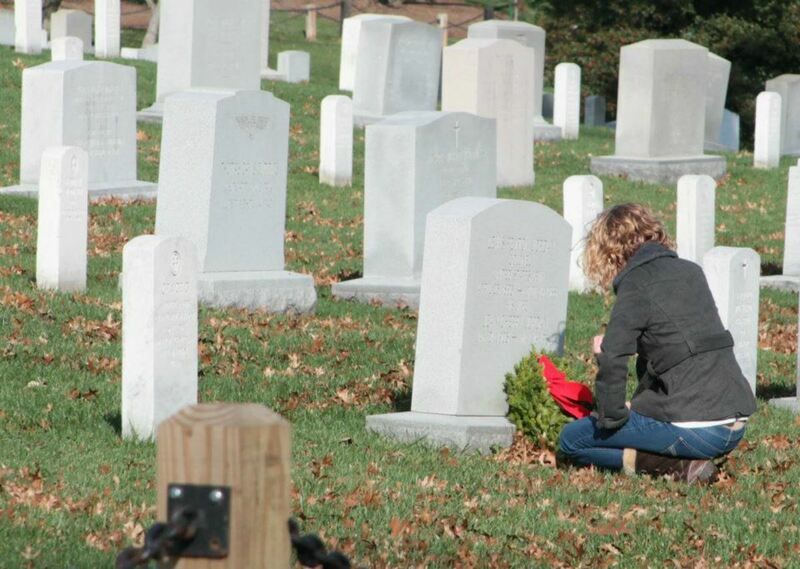 In 2007, spurred by thousands of requests to help with wreath donations, the family gathered those who had been involved at Arlington National Cemetery to set up a 501(c)3, Wreaths Across America, to accommodate and honor the spirit of the donations. After forming WAA as a 501c3, Worcester Wreath continued its tradition of donating wreaths (and remains one of the largest donors to the organization to date) and producing the sponsored wreaths at a discounted market price. At its conception, Wreaths Across America set a conflict of interest policy requiring any Worcester-related Board Members to recuse themselves from decisions related to the wreath procurement contract. All business relationships between Wreaths Across America and Worcester Wreath Company were disclosed to the IRS prior to its designation as a 501(c)3 status in 2007. Wreaths Across America has since been audited and its 501 (c)3 status was approved. All required information is disclosed annually. In 2016, the WAA although not legally required to do so, implemented a Request For Proposals (RFP) process for the provision of wreaths in 2016. The process was developed under advisement of legal and procurement professionals and is being executed by a WAA Board RFP Committee. The process is described on the WAA website under Vendor Inquires and will be open to other bids again at the end of the current contract. To date, Wreaths Across America has not yet received interest from other vendors who are able to meet current contract demands. The story of the formation of the nonprofit is a story that the family and the organization are proud to share regularly as part of its shared history. Wreaths Across America is proud of its commitment to its mission and offers full transparency with donors. To date, each opinion piece where the relationship and integrity of the organization and Worcester family is brought into question is based on misinformation and innuendo. WAA’s executive director is the wife of the president of Worcester Wreath Co. She is a non-voting WAA board member and along with other executives on the board and its Chairman, receives no salary for her efforts, despite full time work and a deep commitment to the mission. 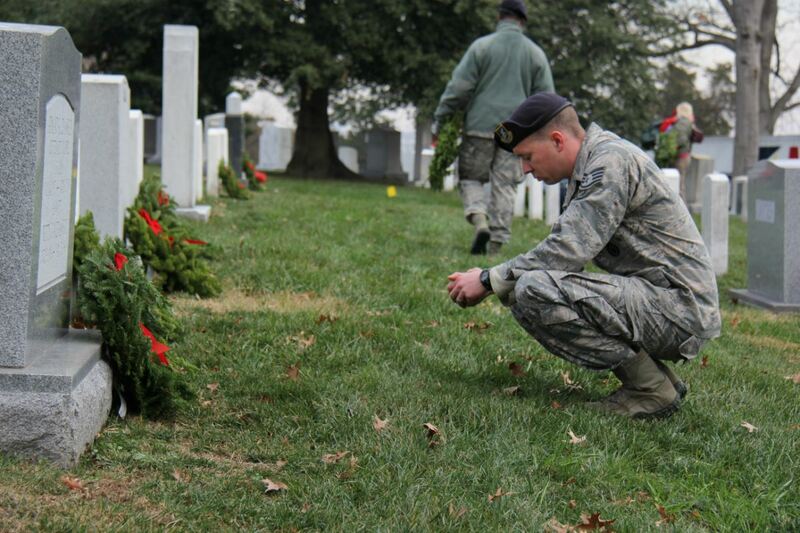 For Wreaths Across America, wreath quality is important. Symbolically, wreaths represent everlasting life. These seemingly simple evergreens are so much more than a decoration placed on a grave. Wreaths Across America exists because hundreds of thousands of people across the United States and abroad responded to the emotional power of these wreaths and their simple ability to honor military members and their families. To this day, the outpouring of donations from thankful Americans humbles the Worcester family and makes them proud to be a part of something they never foresaw or intended. 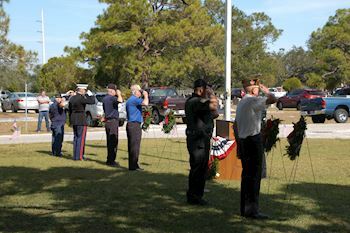 Through Wreaths Across America’s fundraising program, it has helped other nonprofits such as Civil Air Patrol, Scouts, 4-H Clubs, local VFWs and American Legions raise funds for their own community needs. How it works: Wreaths Across America returns $5 of every $15 wreath sponsorship you raise to support your organization. 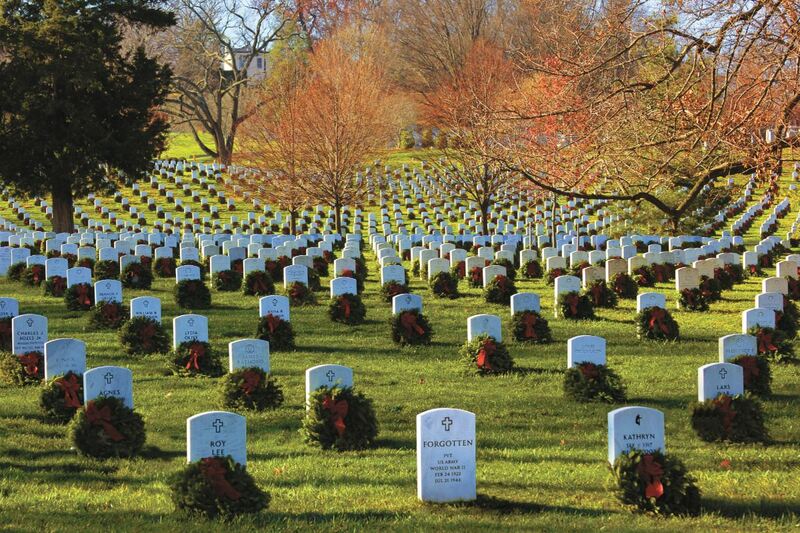 Since 2007, Wreaths Across America has given back $6,722,458 to local charities through this fundraising structure. 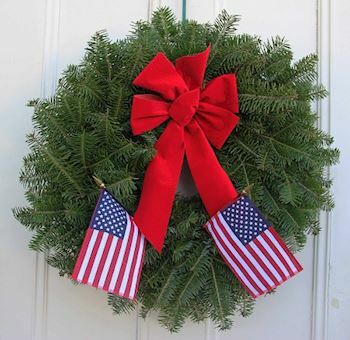 To sign up as a fundraising group, visit www.wreathsacrossamerica.org/fundraising. Wreaths Across America conducts several programs to honor our veterans, including the popular Thanks-A-Million campaign, which distributes free thank-you cards to people all over the country to share with veterans as a simple thank-you for their service. Order yours here and just pay for shipping. A downloadable curriculum and accompanying books are available to help schoolchildren appreciate the role our veterans played and continue to play in preserving their freedoms. These materials are designed to encourage the direct involvement of local veterans. In 2014, Wreaths Across America established the Veterans Remembrance Tree Program as another way to remember and honor our veterans. The program allows Gold Star families to visit the land in Columbia Falls, Maine, where the balsam tips are harvested each year to be made into the wreaths that are place on veteran’s graves. Gold Star families often report they find a sense of peace and tranquility from visiting the land where the balsams are grown. The Remembrance Tree Program gives them a living memorial to their loved one. There are a number of ways for volunteers to get involved. Please keep in mind that there is NO COST to attend or participate in a Wreaths Across America event and events are open to all.